Earthy yet delicate, this design showcases a multitude of gemstones with an alternating pattern of small pebbles and 4mm round stone beads. 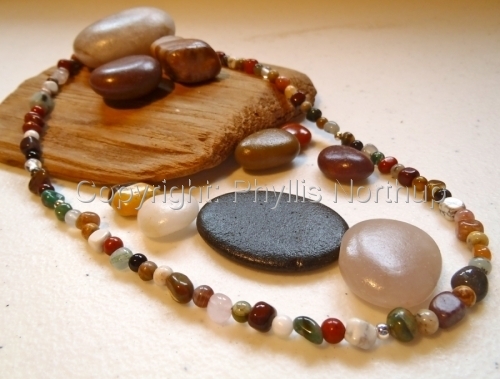 Accented with the occasional sterling silver bead, the many colors of the stones in this necklace make it very versatile. Approximately 17" long. Matching bracelets are available.Price includes shipping.